Holidays need careful planning. That includes making plans for the care and well-being of your animals. Don’t leave it till the last minute! Reputable, dependable boarding kennels and home pet care services are booked up well ahead of any holiday season so you need to get in early. ALLpets need to be cared for if you go away for even the shortest time. That includes your fish, birds, mice, guinea pigs and hamsters. Take your pet(s) to a boarding kennel/cattery. Use a home pet care service. Is your pet’s inoculation up to date? Reputable boarding kennels require proof of this and your pet’s vaccination certificates should be dated at least 2 weeks before your pet is admitted to boarding facilities. Have you been to view the boarding kennels / cattery yourself? Have you made sure that the food being served by the boarding kennel / cattery meets your pet’s dietary requirements? Does the kennel / cattery appear to be well maintained? How many animals are housed in each kennel / cat pen? Have you been able to observe how the staff treat and handle the animals? Does the kennel / cattery have a vet visit the kennels on a daily basis? Are the staff trained to recognise animals that may not be well or to identify unhealthy stools? A well-run reputable boarding kennel is normally a safe manner in which to house your animals while you are away. It also means that your pets are not lonely because of the activity around them. The disadvantages of boarding kennels / catteries. Your pet is away from its home environment and may be stressed or depressed because you are also no longer around. Your pet does not know if it will see you ever again. Even though your pet as been vaccinated it could still pick up an illness like kennel cough against which there is no inoculation. Is your pet’s inoculation up to date? Does your pet have a temporary new ID disc with your contactable details? Do you have enough tranquilisers for the journey? Is the cat-carrying cage large enough so that the cat won’t lie in its faeces or urine? Can the cat cage be locked securely? Is the leash readily available so that you can ensure that your dog does not run free when you (and your dog) have restroom stops? REMEMBER: NEVER leave your pet inside the vehicle on a warm or hot day, even if it is parked in the shade with the windows slightly open. 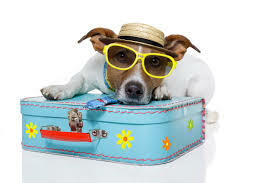 Have you thought about how you would get your pet back if it did go missing while it is with you on holiday? In the case of cats, they usually need up to 14 days to acclimatise to a new environment before they can be let out on their own. Travelling long distances in the car can be stressful for dogs and cats. Will the house / pet sitter be living with the pets in your home while you’re away? If your pet is a dog, will the house / pet sitter be walking him / her (on a leash)? Is your property secured in such a way that no one can simply stroll into your property and leave the gate open? Have you left enough food for the duration of your holiday plus extra? If the house / pet sitter is a professional service how long has it been in business? Have you checked on the house sitting service is it known to your vet and is he / she willing to recommend it? Have you checked on their references from previous clients? What animal knowledge does the house / pet sitter have? Have you made arrangements with the vet in case your animal becomes sick? Does your pet have collar and ID tag identification and / or a microchip? Have you given clear written as well as verbal instructions for the care of your pet? Does the house / pet sitter know what to do if your pet goes missing while you’re away- i.e contact numbers for the SPCA and vets serving the area. It is advisable that you ensure that your pet knows the house sitter in advance of your absence, so that your pet is more comfortable and so that you can assess if there are likely to be any bonding problems. That animals are often much happier continuing to live at home with a familiar routine and they have maximum exposure to companionship. 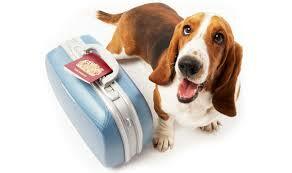 You do not have to transport your pets to and from the boarding kennels / cattery. They also provide security as would-be-burglars won’t realise that you’re not there. The check list is similar to that for the house / pet sitter. Your pets must be visited a minimum of once daily because an animal that becomes sick can deteriorate very rapidly and animals do need companionship. The only disadvantage of a home pet care service is that the time spent at your home is limited.